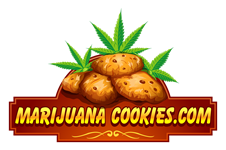 Cooking with cannabis how do I get the right dosage baking marijuana cookies? There are a lot of advantages to cooking with cannabis, as opposed to smoking it. You can munch on weed cookies without anyone knowing what you’re really indulging in. The high can last longer (depending on your own tolerance levels). You’re not exposing your lungs to the carcinogenic effects of smoke. You don’t end up smelling like weed. Cooking with cannabis how you get the right dosage. But if you’re going to cook with weed, you need to know how much to use to get the right THC dosage. Different recipes will give you a ballpark – half an gram of dry herb, a gram of dry herb, two grams of dry herb, etc. depending on how many cookies or brownies the recipe in question yields. But that doesn’t take into account the fact that different strains of marijuana have different levels of strength, and it definitely doesn’t take into account the fact that different people have different tolerance levels, not to mention different levels of sweet tooth. You might want to eat five cookies instead of just one, but five cookies at 10 mg of THC each would probably make you stare blankly at the wall for a day, after you eat an entire convenience store worth of junk food. So it’s important to know what dosage you are putting in your cannabis cookies, and to be able to regulate the dosage to meet your preferences at any given time. This requires a little bit of math. Step 1: Know how strong your weed is. You can usually get this information just by knowing what strain of marijuana you are buying. This number will be expressed as a percentage. To make the math easy for this demo, let’s assume you have a strain of marijuana that has 10% THC. Step 2: Calculate how many milligrams of THC you have. A gram has a thousand milligrams. If your weed is 10% THC and you have 1 gram, that means you have 100 mg of THC. 1,000/10=100. If you use that entire gram of cannabis in your cookies and then you sit down and eat the entire bowl of cookie dough, you will have consumed 100 mg of THC. If you eat half the bowl of cookie dough, you will have consumed 50 mg of THC. And so on. Step 3: Check the yield of your recipe. Put simply: how many cookies or brownies does your recipe make? You will divide the milligrams of THC by the number of cookies to get the milligrams in each cookie. So if you put a gram of marijuana that has 10% THC in a cookie recipe that yields 10 cookies, you will have 10 mg per cookie. 100 mg of THC divided by 10 cookies equals 10 mg per cookie. Step 4: Decide how high you want to get. The dosage for marijuana consumables in Colorado is 10 mg THC. This might be the right amount for you, or it might be way too much. You may want to be able to eat more than just one bite of cookie. It’s up to you to decide how many milligrams of THC you want in each cookie, and then you just do the math to figure out how much marijuana to put in. Let’s say that you want 2.5 mg of THC in each cookie instead of 10 mg. You can either quadruple your cookie recipe – that is, put a gram of 10% THC marijuana in a cookie recipe that yields 40 cookies instead of 10 – or you can divide the amount of dry herb you put in, and put ¼ gram of 10% THC marijuana in a cookie recipe that yields 10 cookies. Of course, these numbers were nice and even to make the math easy. You may have marijuana that is 7% THC, or a recipe that yields 60 cookies instead of 10, so that you don’t have pretty numbers to work with. But the concept is the same. • 1,000 divided by the percentage of THC in your marijuana equals the number of milligrams of THC per gram of dry herb. • The milligrams of THC in your recipe divided by the yield of your recipe equals the milligrams of THC in each cookie or brownie. You can also solve for the number of grams you should use in the recipe if you know the percentage of THC in your dry herb and the milligrams of THC you want in each cookie or brownie. • The yield of your recipe times the milligrams of THC you want in each cookie or brownie equals the total milligrams of THC you need in your recipe. • 1,000 divided by the percentage of THC in your marijuana equals the milligrams of THC per gram of dry herb. • The milligrams of THC you need in your recipe divided by the milligrams of THC per gram of dry herb equals the total grams of dry herb you need for your recipe. 50 mg / 100 mg = ½. You need 0.5 grams of dry herb. And now you know how to calculate the right amount of marijuana to use in your pot cookie and pot brownie making endeavors. Happy baking!